Took a morning run out to Liganore Vineyards, but was a little disappointed, the grapes seemed to have been harvested, and I was a little late getting there. 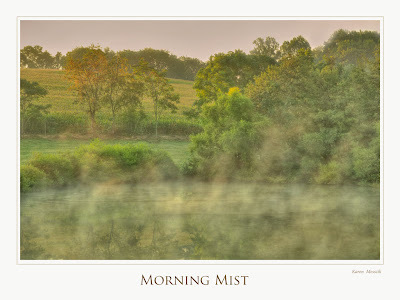 The morning mist was heavy in the valleys and over the pond at Liganore so I made a few shots before the sun became harsh and burned off the mist. 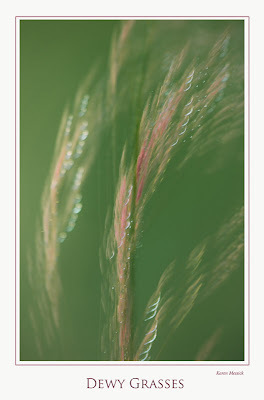 The dewy grass is a nine shot multiple exposure and the pond shot is an HDR image, processed in Photomatix. It was a nice ride in the country anyway!